This is the link to our “Sold Antiquities” page, which includes images and brief descriptions of objects we’ve sold over the last couple of years. By virtue of the great number of items it displays, it is a very useful tool both for researching antiquities in general, and specifically for tracking antiquities we’ve sold. So often, antiquities with perfectly legitimate provenance pass from a dealer to a private collector, then perhaps to another collector or dealer, and loose their provenance information in the process. 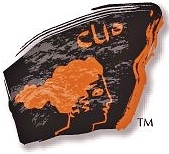 Using this page, items we’ve sold may be traced back to Clio Ancient Art and their long term provenance established.